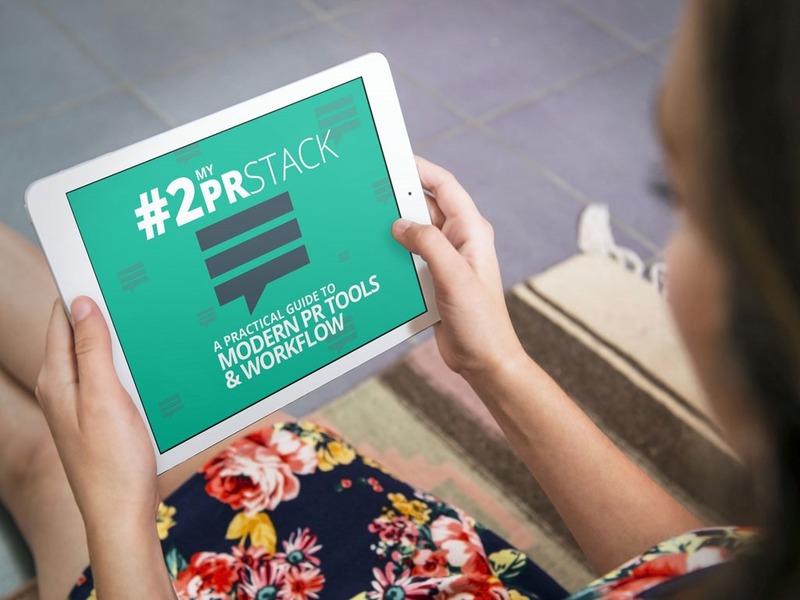 Last week, a new version of #PRstack, a publication whose content was created by more than 30 contributors, was published. It’s the second edition of a highly-acclaimed guide and resource that was first published in May 2015. It comprises a series of case studies by PR practitioners exploring modern aspects of PR practice in over 40 examples of tools used in public relations, content marketing, and search engine optimization. PRstack’s purpose is straightforward. The project helps make sense of the tools market and create a modern workflow for a communication team or public relations agency. Contributors share practical advice on different areas of public relations workflow including planning, content, engagement, and monitoring and measurement. We’ve also included guidance from experts on implementing change within an agency or communication team, and some simple hacks to get you started. In simple terms, each of the 30 chapters in the ebook is an explanation of a tool, what it does and how you use it in practice. What struck me most about the new publication when I first read through it was how useful this will be to anyone in PR looking to augment their knowledge and capabilities in digital communication. Not only that, as they acquire knowledge and gain experience, they can share that with the rest of the community via the resource I mentioned, a Google spreadsheet, and thus increase the scale, scope and value of that resource. Building skills in digital PR is a topic I’ve been highlighting in a number of speeches and presentations during this year, and is a key area of focus in the PRCA’s Digital PR Report 2015 that I wrote about a few weeks ago. Together with the first edition, #PRstack presents all of us in the communication business with a very handy tool to help each of us keep up to speed with developments in contemporary PR best practice. Bonus: During October, each of the 30 chapters will be published as individual blog posts on the #PRstack website. The site itself was developed and built by Prezly, what founder Frederik Vincx describes as a “stakeholder communication tool for brands.” Vincx explains why his team developed the website and published the ebook.